The United States almost doubled its aid for displaced Rohingya Muslims in Bangladesh and Myanmar, U.S. Ambassador to the United Nations Nikki Haley announced on Monday as Britain hosted a ministerial meeting on the crisis. A Myanmar military crackdown unleashed in the western state of Rakhine last year after attacks by Rohingya militants on police and army posts drove more than 700,000 of the largely stateless minority across the border with Bangladesh. U.N.-mandated investigators have said the military carried out mass killings and gang rapes of Rohingya with "genocidal intent." Myanmar rejected the findings as "one-sided" and said it was a legitimate counterinsurgency operation. "We continue to call on the Burmese government to do more to hold those who have engaged in ethnic cleansing accountable for their atrocities‎, end the violence, and allow full humanitarian and free press access," Haley said in a statement. She said the United States would give an extra $185 million, of which $156 million would go to refugees and host communities in Bangladesh, taking its total humanitarian aid for the crisis to nearly $389 million in the past year. The aid pledge comes as Haley said U.S. President Donald Trump would "lay down a marker" on U.S. foreign aid during his speech to the U.N. General Assembly on Tuesday. "While the U.S. is generous, we're going to be generous to those that share our values, generous to those that want to work with us and not those that try and stop the U.S. or say they hate America and are counterproductive," she told reporters on Thursday. British Foreign Secretary Jeremy Hunt hosted a closed-door ministerial meeting on the crisis, which diplomats said would focus on accountability, on the sidelines of the annual U.N. gathering of world leaders in New York on Monday. Hunt visited Myanmar last week and said the government must ensure there is "no hiding place" for those responsible for crimes. Myanmar's army chief on Monday warned against foreign interference. The prosecutor of the International Criminal Court has begun examining the alleged forced deportation of Rohingya to Bangladesh. 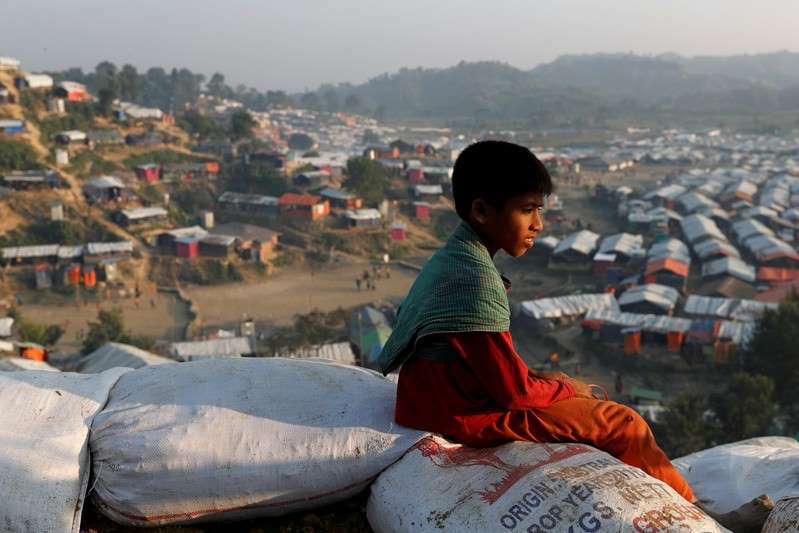 Myanmar has said it wants to repatriate Rohingya who fled.